From the bottom of the main navigation menu, click My Settings. My Settings includes three tabs that include information you may edit: User, Preferences and Notifications. Some of the fields will be prefilled with the information you entered when you created your account. Under the User tab you may edit your first and last names, preferred email address and Revelator password. Click Save to confirm any changes. Under the Preferences tab you may edit your location by country, date format and number format. 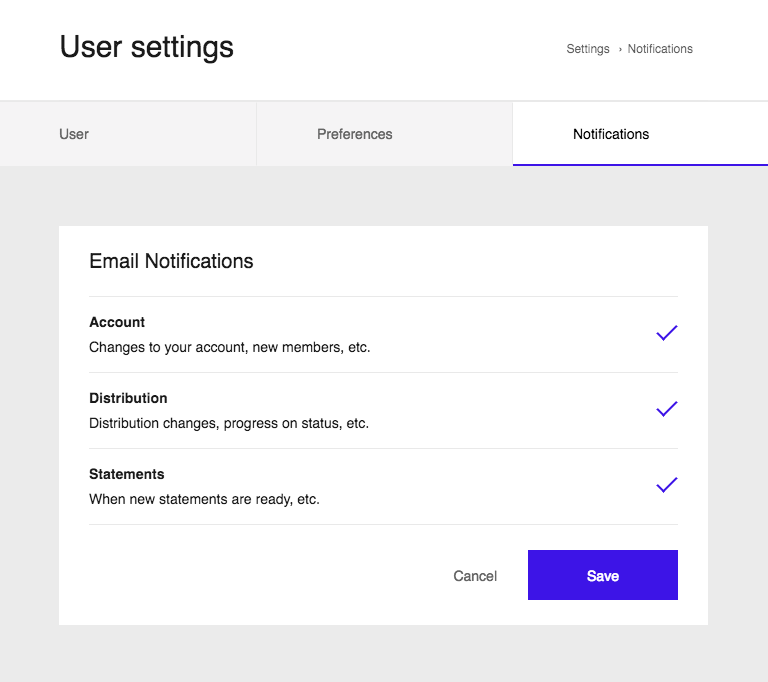 Under the Notifications tab you may choose to receive email notifications about your account, your releases, and/or statements.